Perhaps you’re already in the Tower you seek. 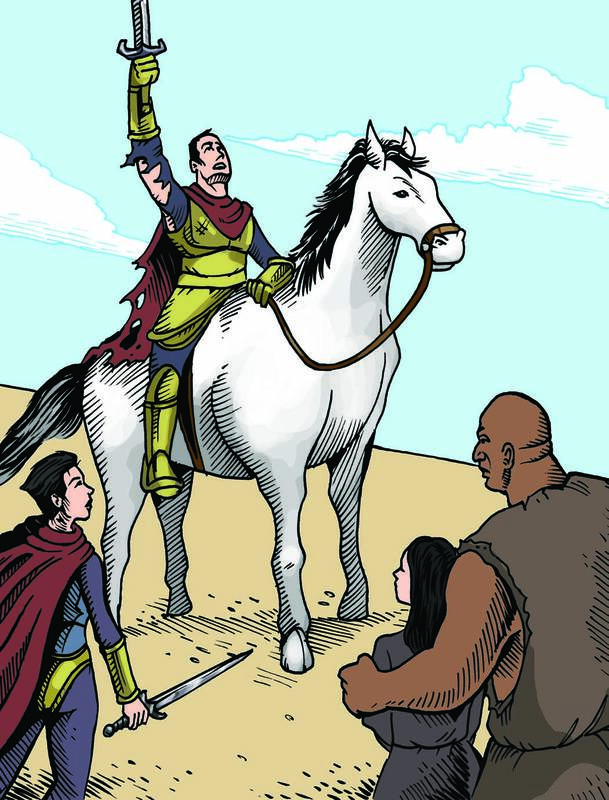 A scene from The Legend of Vysallimore. 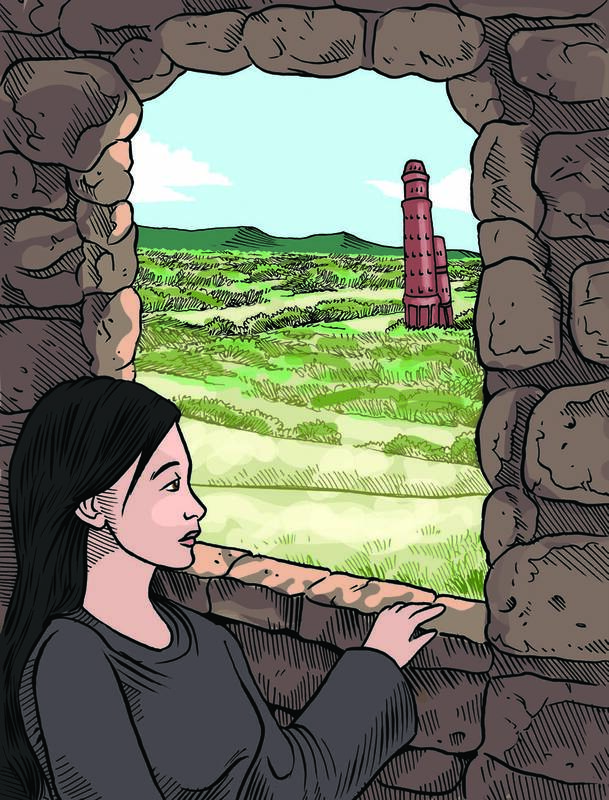 Perhaps you’re gazing at a place, a Tower, where you feel that life would be better. But perhaps you’re already in the Tower that offers you the most. Don’t always look over the fence at potentially greener grass. The grass beneath your feet may be the lushest, greenest and most rewarding. And it’s there for you now. This Christmas, please count your Bessings. 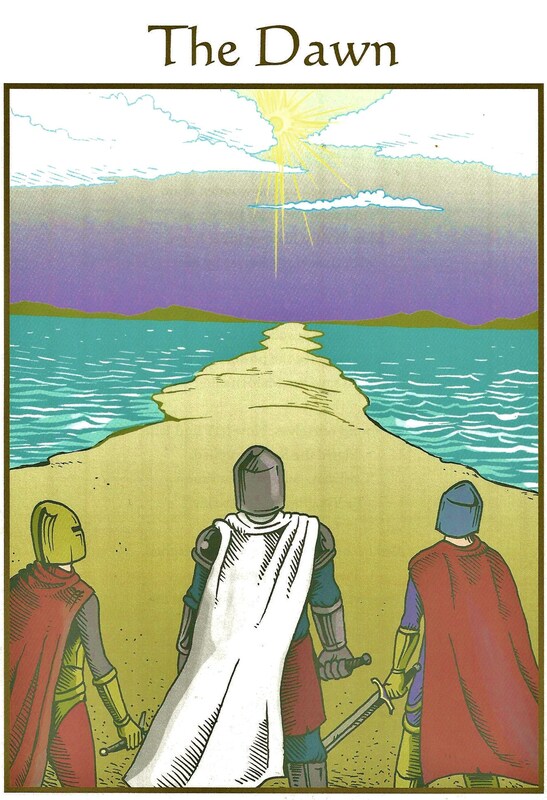 The illustration is from the chapter in The Legend of Vysallimore called: The Promise. It represents a son’s promise to his father. A promise is spoken trust, respect and personal character. Breaking a promise is an act of self destruction. As we move towards a New Year and New Year’s Resolutions, what promises will you be making and promising to keep? The final page of The Legend of Vysallimore. 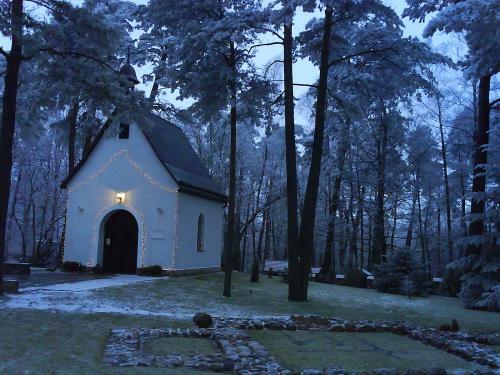 That Holy Chapel does really exist. There’s a picture of it here. Triple good refers to its full name. The chapel is now called “The Chapel of the Thrice Blessed Virgin Mary.” Pope John Paul the Second has visited this sacred place. In the movie called: “Feast of Love”, Oscar calls his on-screen father “abusive” and “a drunk.” Oscar was played Toby Hemingway, my son. It was very strange sitting in the theater hearing one’s son say how much his hated his father, albeit on-screen! And while I’m pretty sure neither criticism could be aimed at me, his real life father, it was still definitely an eerie moment. It made me wonder if us fathers ever sit down with our chidren and ask to hear criticism. Ask to hear what we could improve to be better fathers. I’m sure this would lead to even closer relationships. I’m going to do this today. 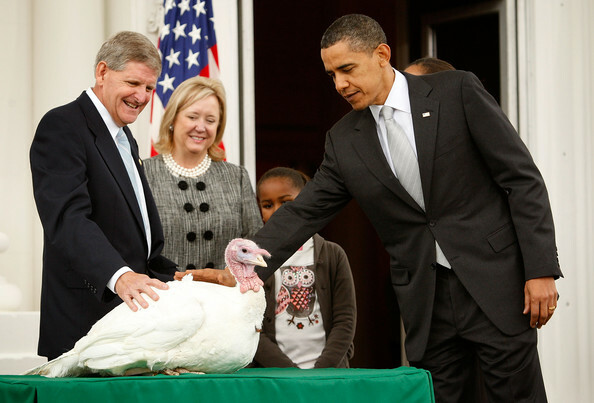 Pardoning the Turkey by Obama. For what? What had the turkey done? My father finished WW2 at the age of 26. Still alive and well and living in Toronto. Paddy Hemingway is the one on the right. Pilot officer J.A. (Paddy) Hemingway. D.S.O. baled out of his Hawker Hurricane over the Thames Estuary After combat with Me 109 fighters. He landed safely near the Barge Public house in Pitsea, and his aircraft crashed into the marshes at Fobbing Essex. 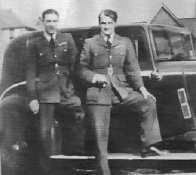 Just eight days earlier at 17.45 hrs on the 18th August 1940, P/o Hemingway in Hurricane V7249, had been shot down by return fire from a Ju 88 over the Thames Estuary. He baled out of the aircraft and was rescued by a light ship12 miles East of Clacton, Essex. In this combat Hemingway lost one of his best pals, Flying Officer R.H.A. (Dicky) Lee.